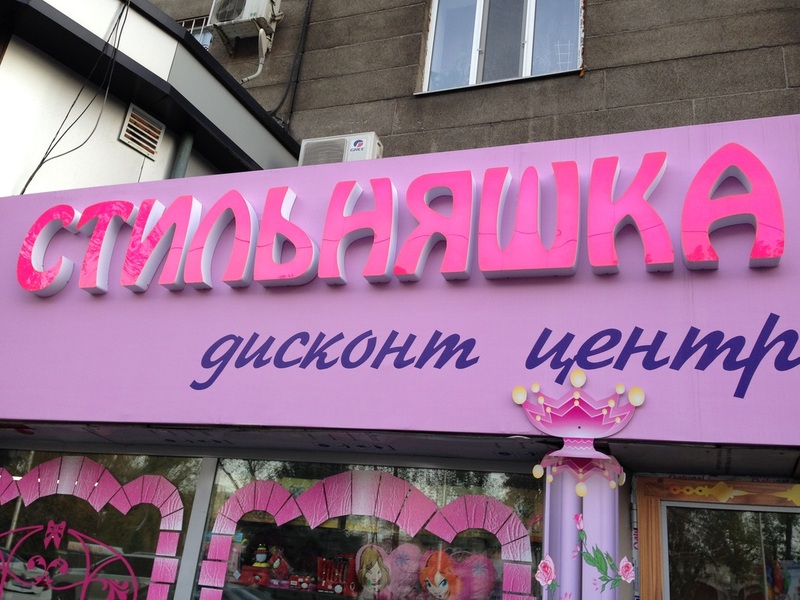 Almaty's amateur designers, I'm afraid, have thrown in the towel. 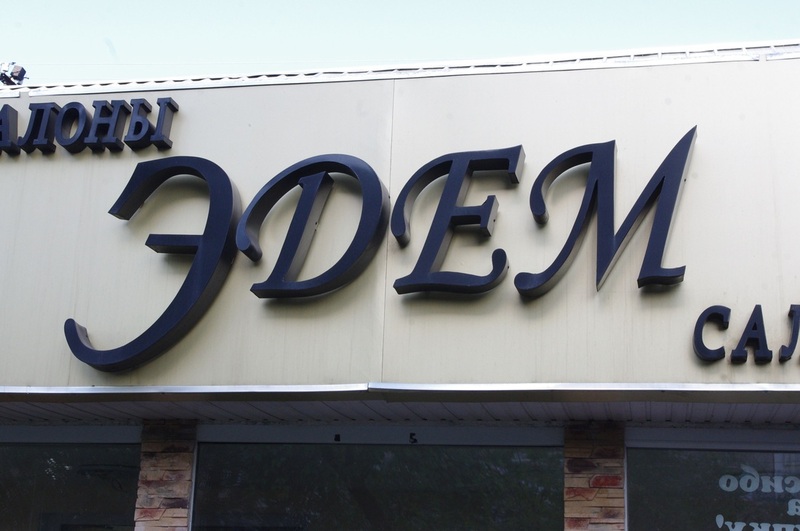 "We got another sign to make," I imagine them hollering to their underlings, "Copy and paste that swash font from last week!" Swashes, you see, are the exaggerated pen strokes that make a typeface look calligraphic, and they grace lazy storefronts everywhere. 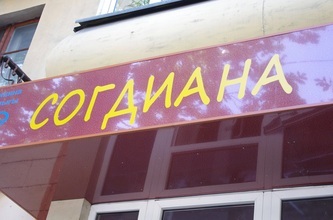 Swashy fonts, actually, are what first got me paying attention to local signage, because I found them so offensive. 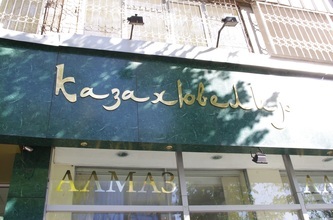 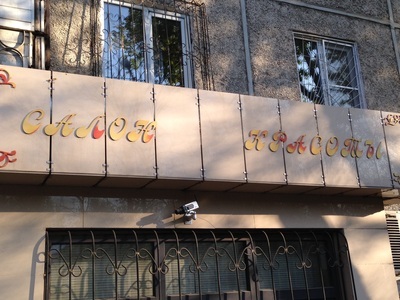 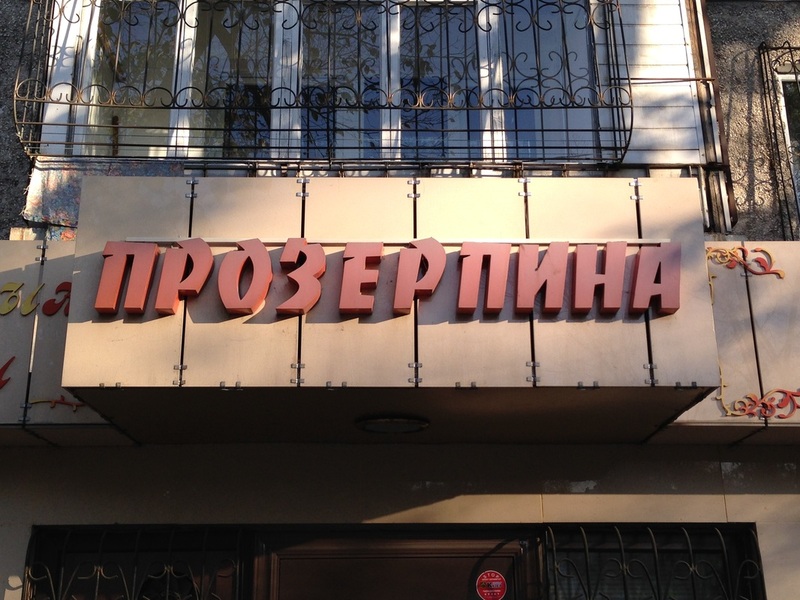 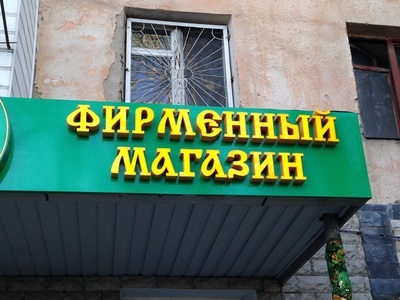 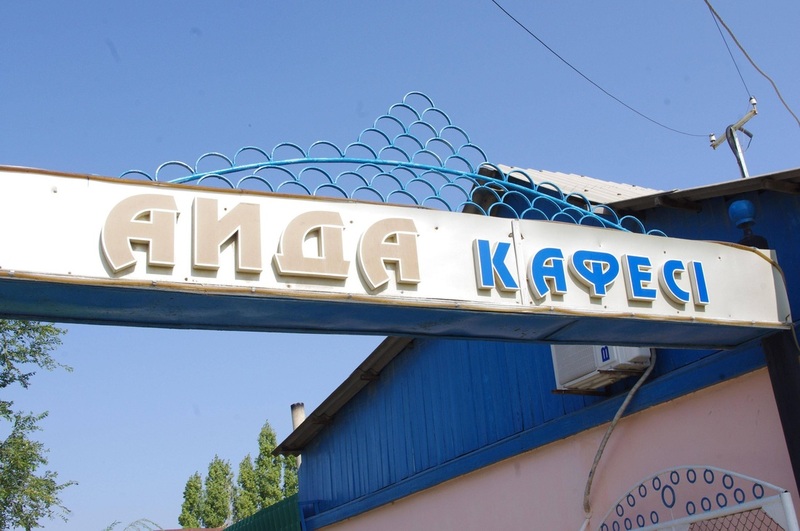 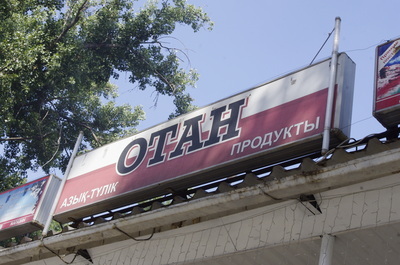 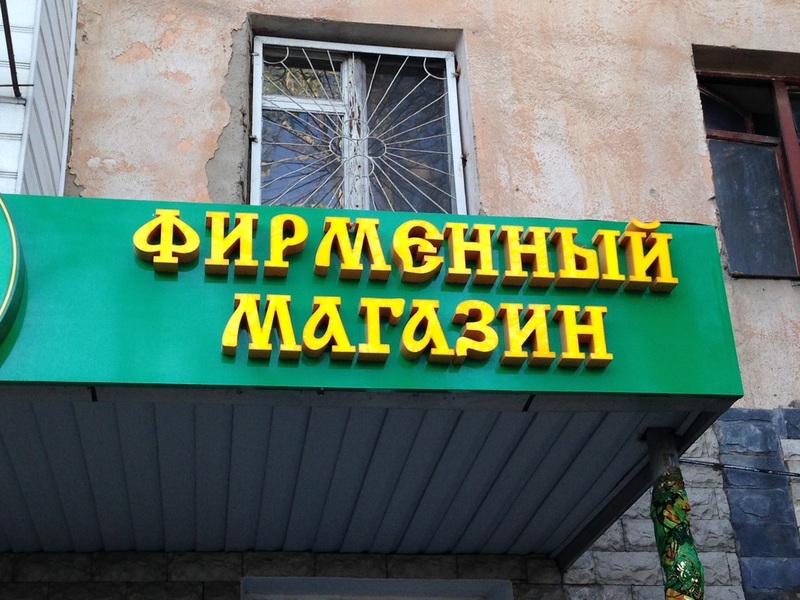 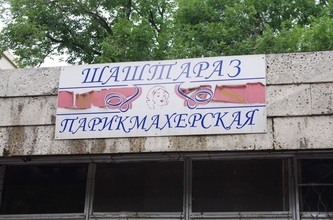 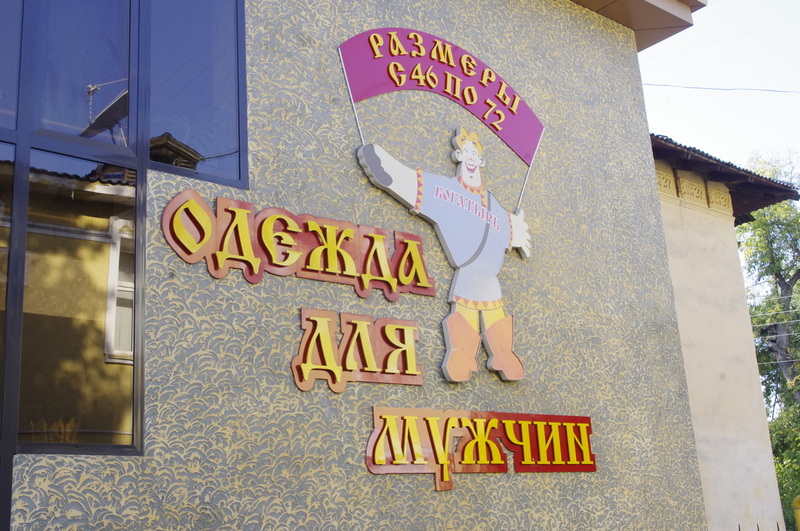 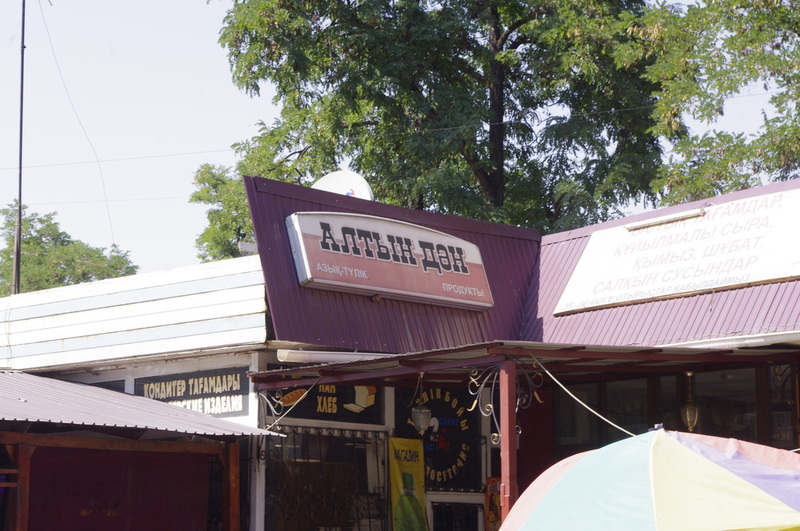 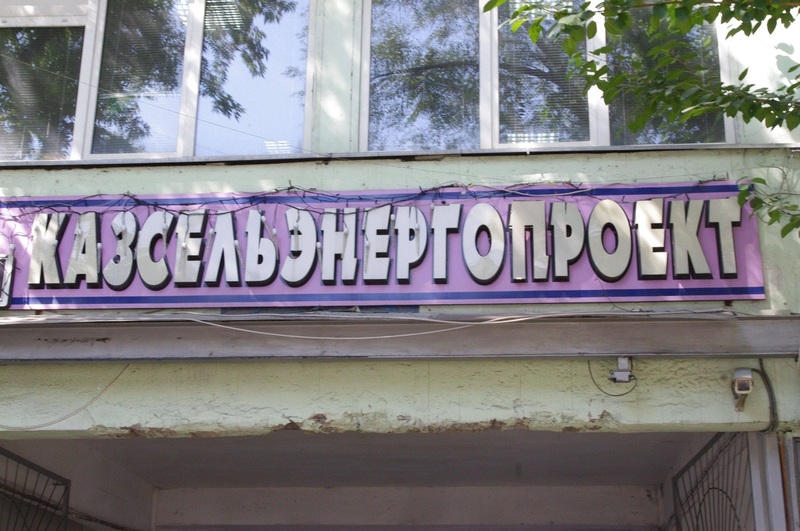 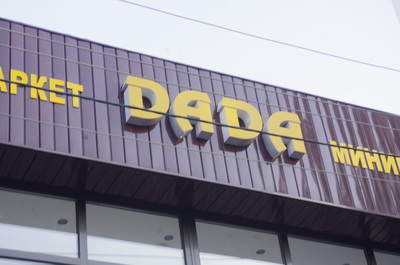 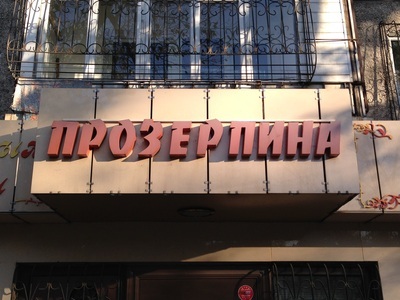 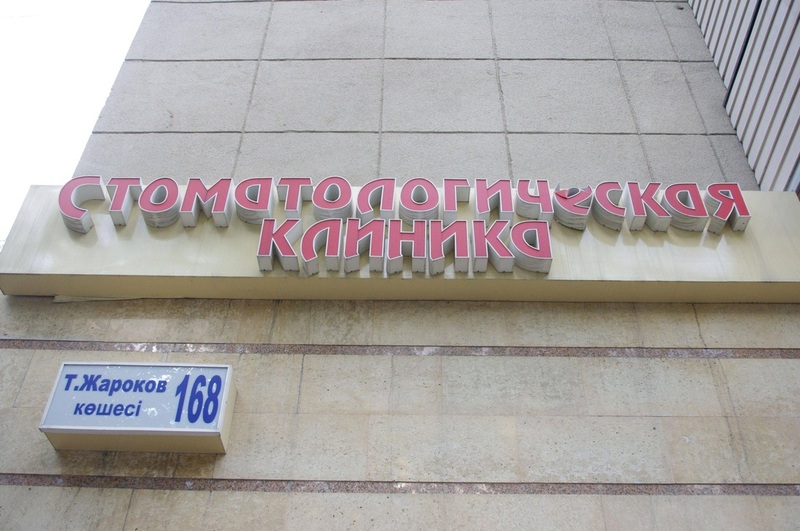 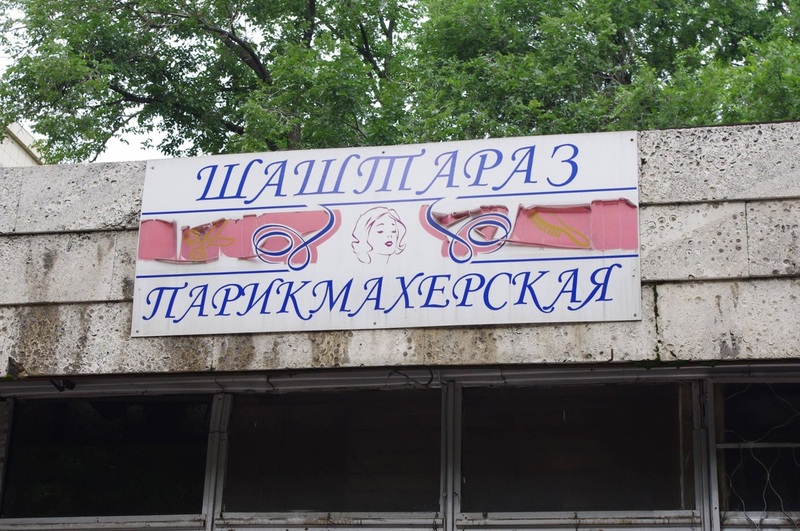 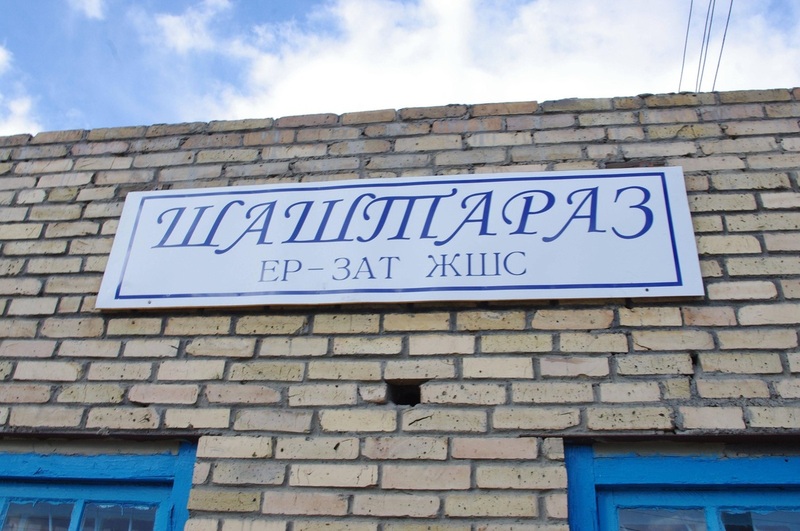 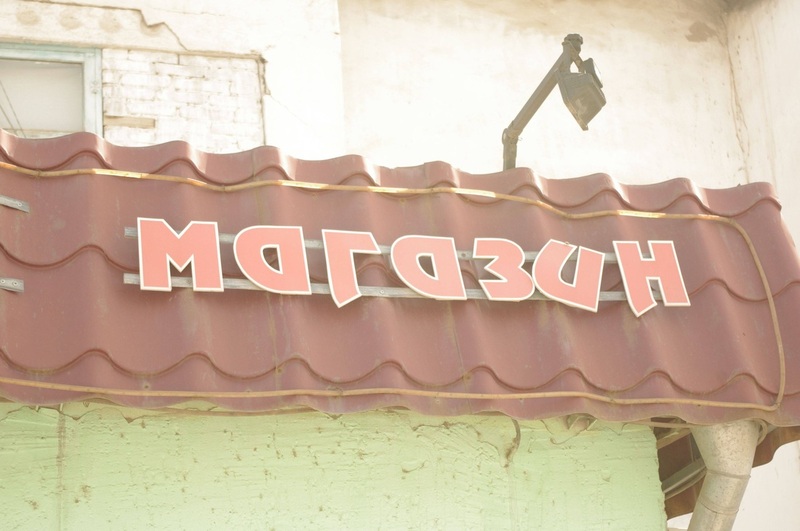 This kind of font looks like something I chose in Microsoft Word to illustrate my 4th grade paper on the revolutionary war, yet for some reason it's been taken up by the Almaty hairdressers' union. 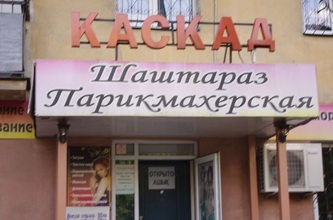 It turns out that these kinds of fonts are usually banned by sign designers because they're simply hard to read. 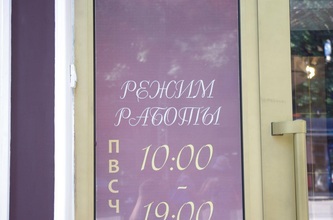 What's preferred for "display typography" is solid, sans serif fonts. 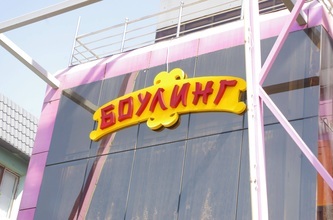 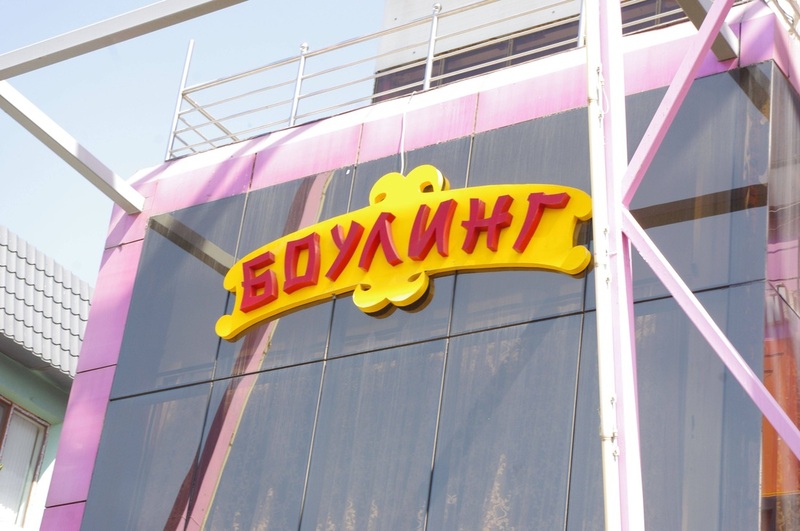 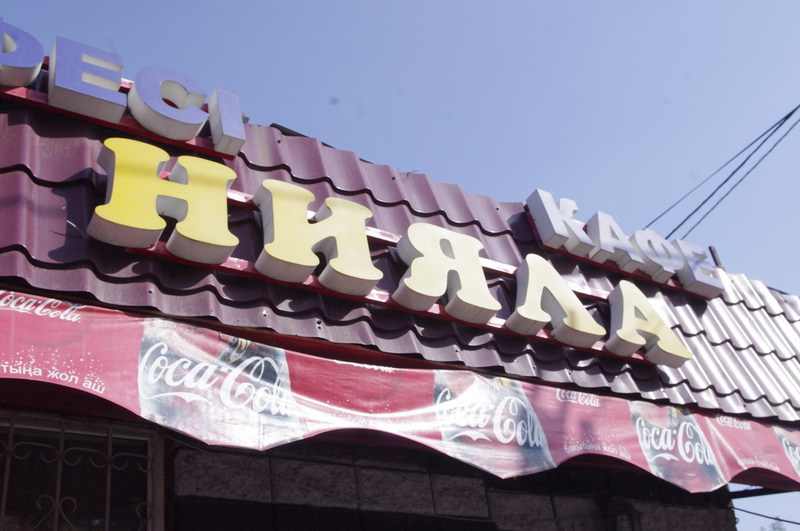 A commonly used example in Almaty is the Cyrillic version of Revue, a font that, one expert reports, "boldly graces billboards and shop signs all over the world." 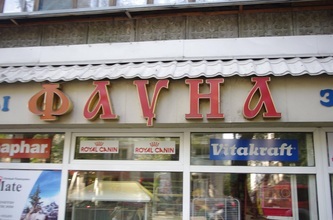 Another Cyrillic display font that looks like the 70s-style Hobo is inexplicably popular. 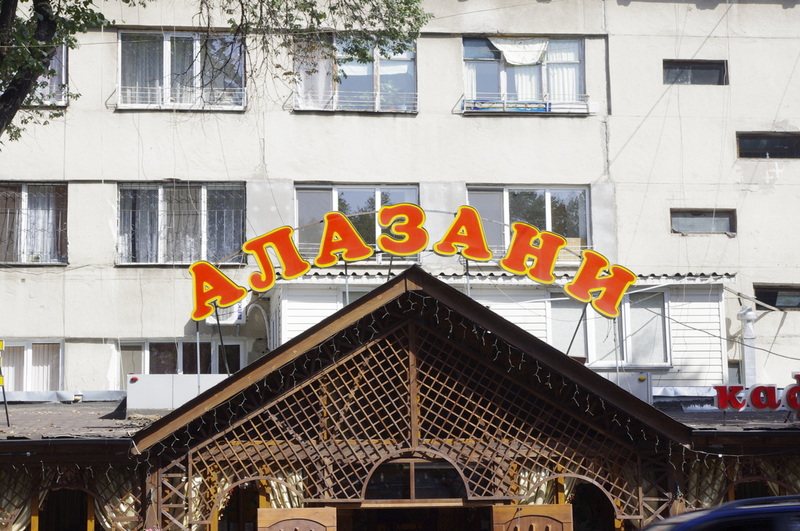 Figuring out fonts is a fun game, and this post by the Russian designer Vladimir Efimov on fonts in Nizhny Novgorod helped me out a lot, because it turns out the same fonts that are popular in Russia are popular here (though swash fonts may be a tacky obsession that's unique to Almaty). 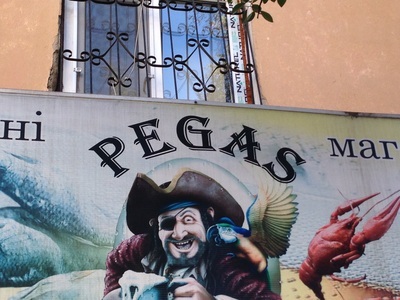 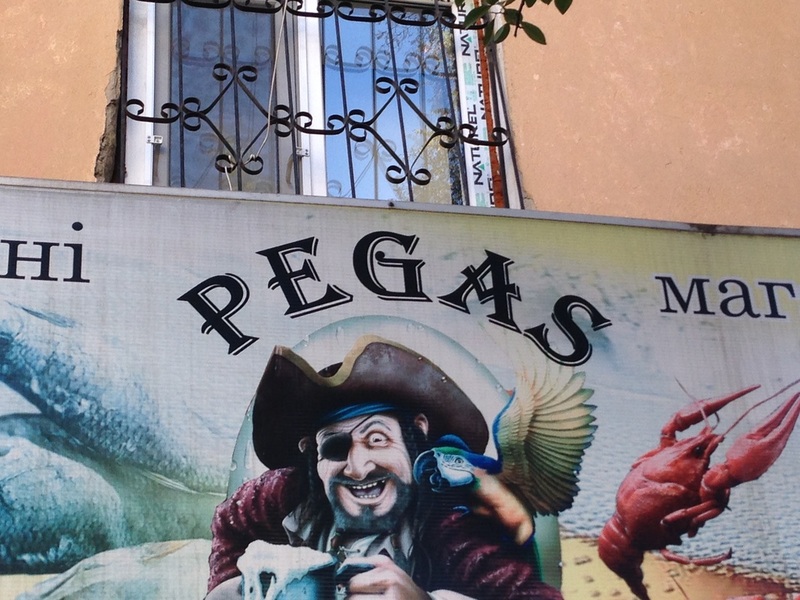 There's Figaro, which reminds me of an old West saloon but is used often to announce convenience stores; Algerian, with it's funny "A's, and the psuedo-Slavonic Izhitsa. 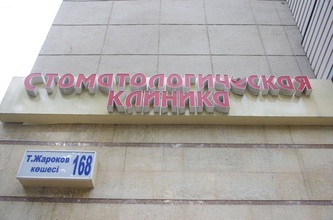 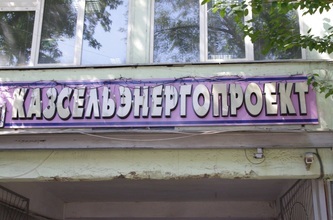 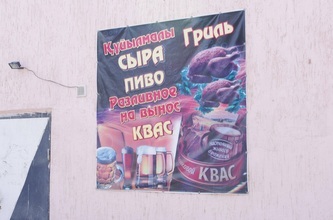 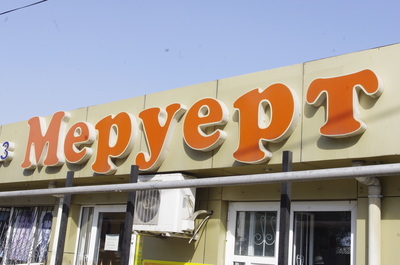 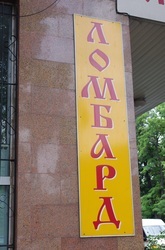 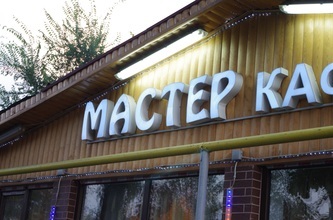 In general, these fonts like Izhitsa in an old Russian style [в древнерусском стиле; v drevnerusskom stile] are widely used, especially for Russian restaurants, Russian-owned flower shops and so on. 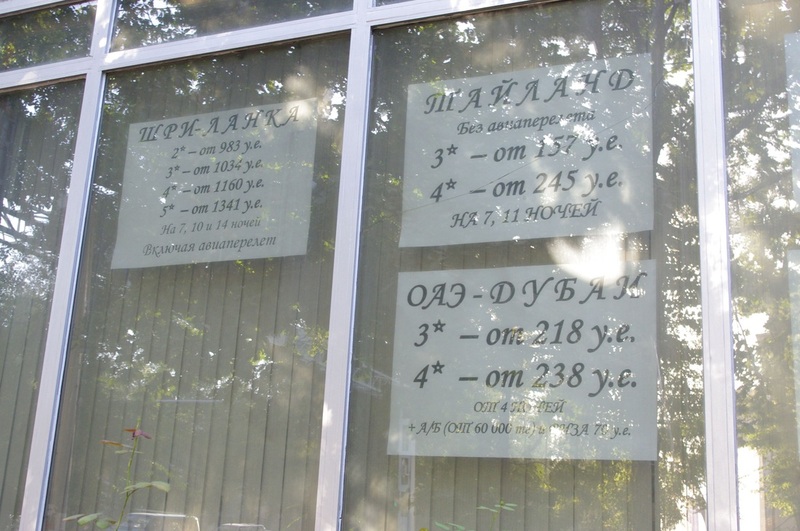 They evoke the Early Cyrillic alphabet and thus have a very liturgical feel; back then, Russian script was used mostly for religious documents, and the connotation continues. 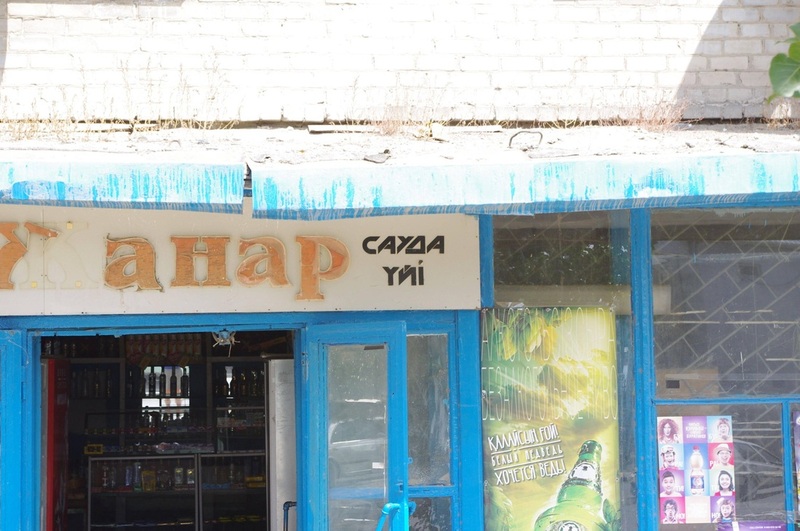 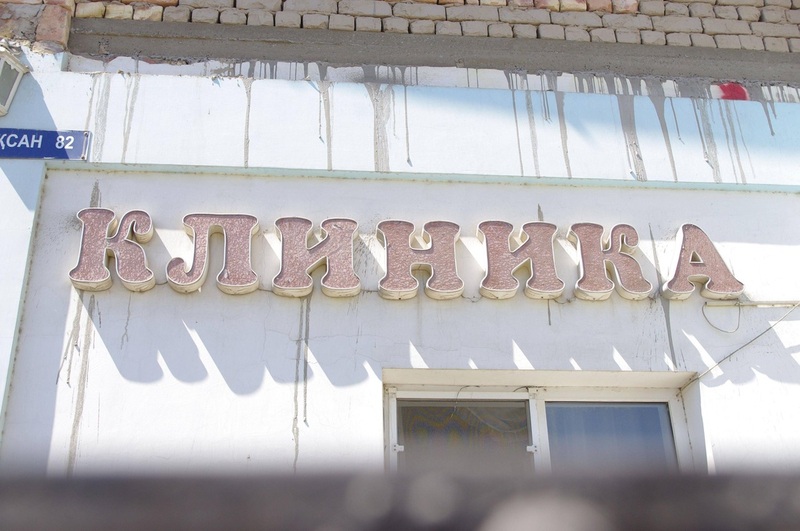 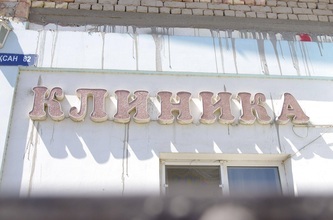 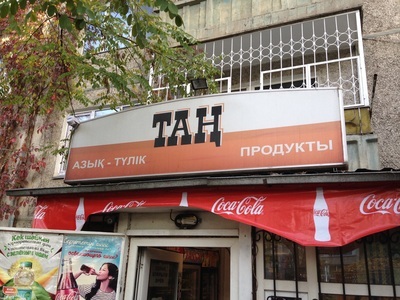 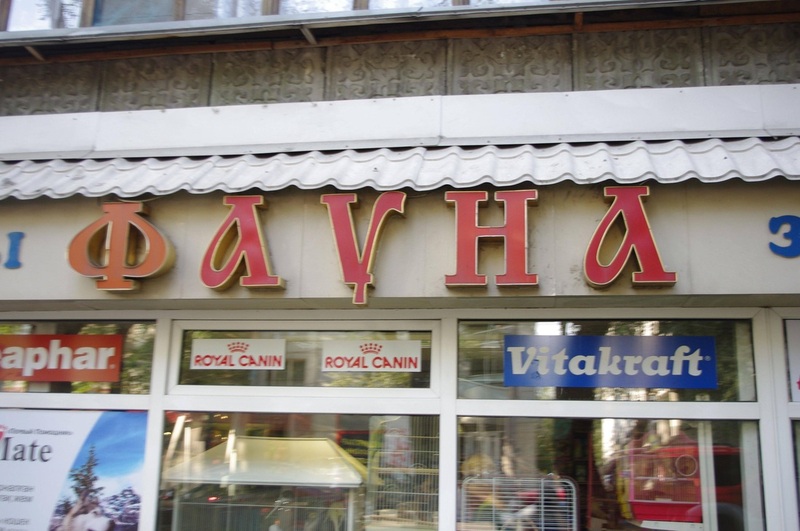 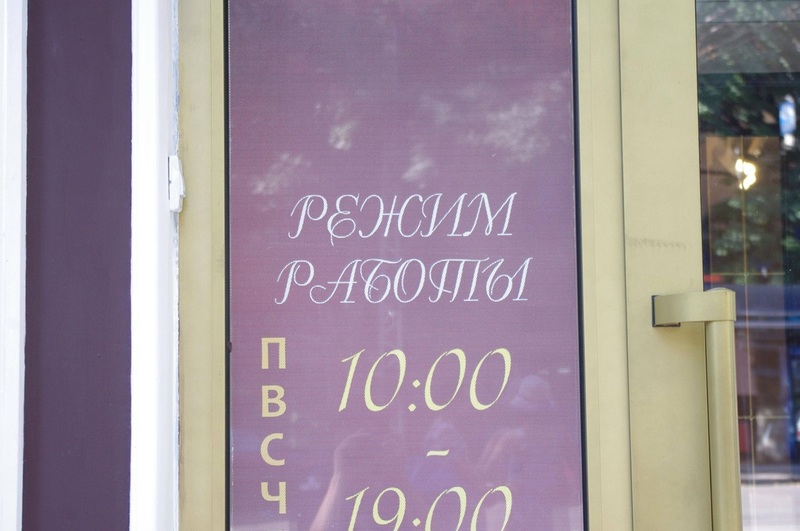 Using Cyrillic in a Russophone town, of course, does not say anything about the identity of the shop owner, but somehow it seems that the presence of an imperial-looking old Russian font predicts a proud Russian caretaker. Kazakh, on the other hand, doesn't have the longest of written histories, and so it has a typographic canon that's more meager. 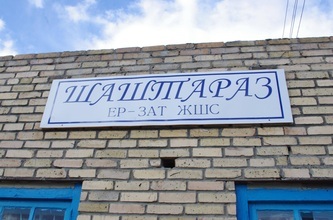 Like most Turkic languages in Central Asia, it was long written in an Arabic script, then given a trial period in Latin before ending up in Cyrillic. 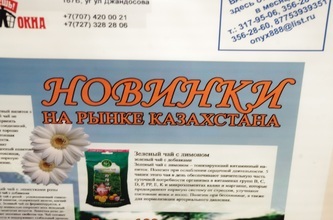 When designers want to evoke nostalgia, then, they turn to faux-Arabic scripts, in Russian called "fonts in an Eastern style" [шрифты в восточном стиле; shrifty v vostochnom stilye]. 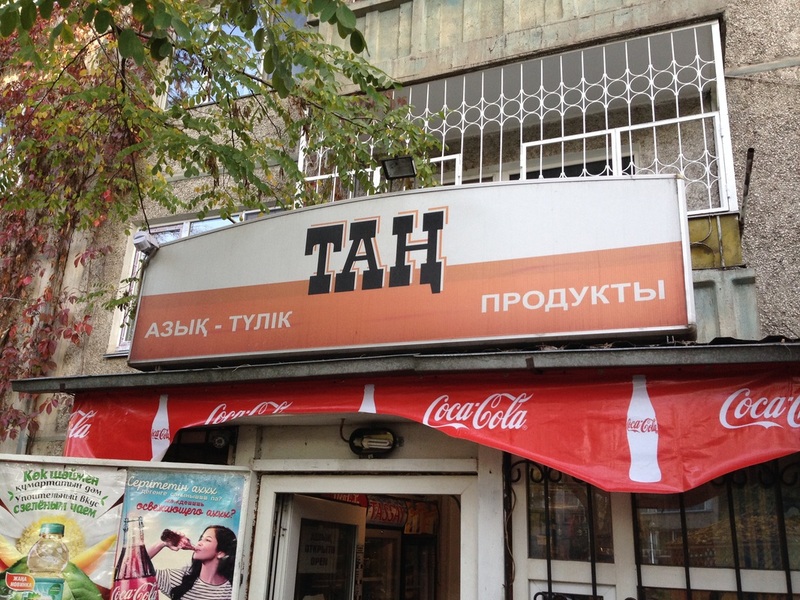 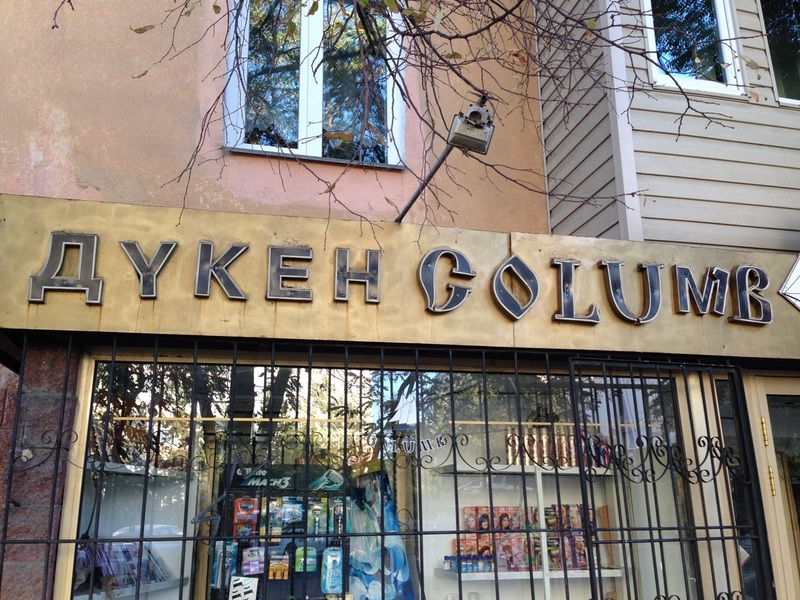 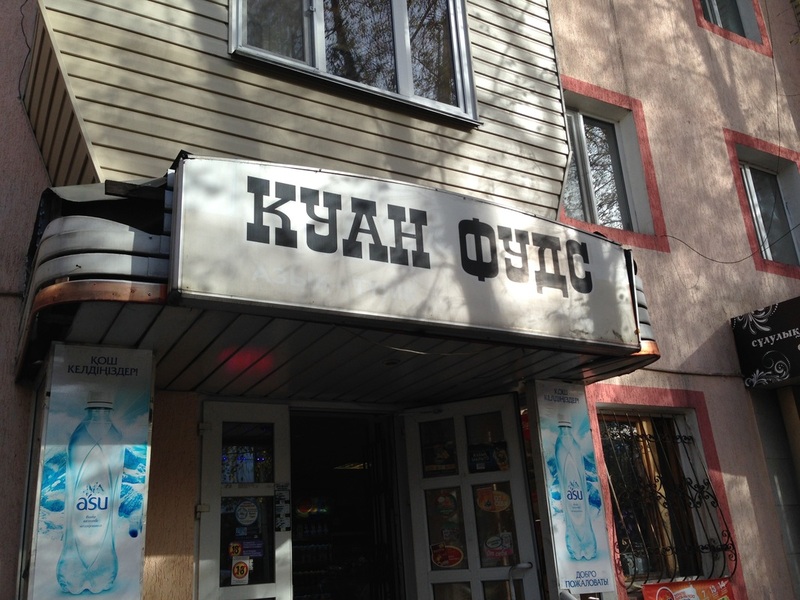 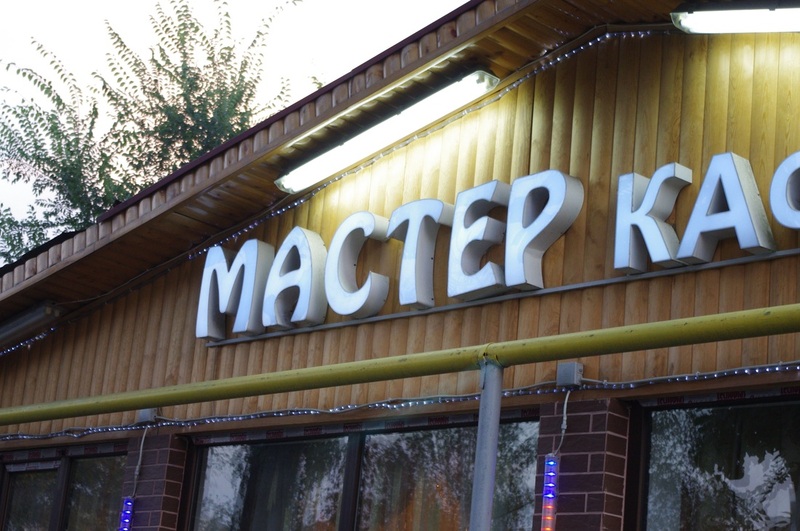 These fonts let you write out shop names in the Cyrillic of Russian or Kazakh, but with the letterforms having the distinct swoops of Arabic calligraphy. 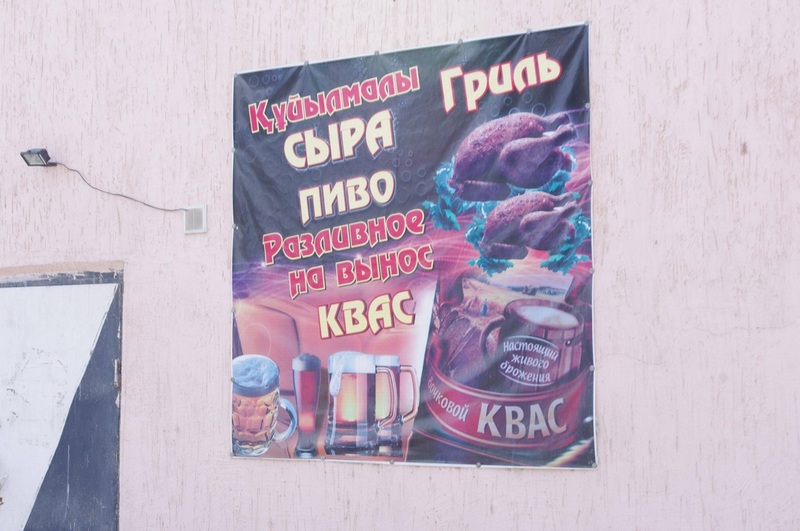 Some designers may not even be aware of Kazakh's Arabic-script history, but may just be self-Orientalizing; this is a country, after all, where Kazakh food on menus continues to be labelled "Eastern cuisine."